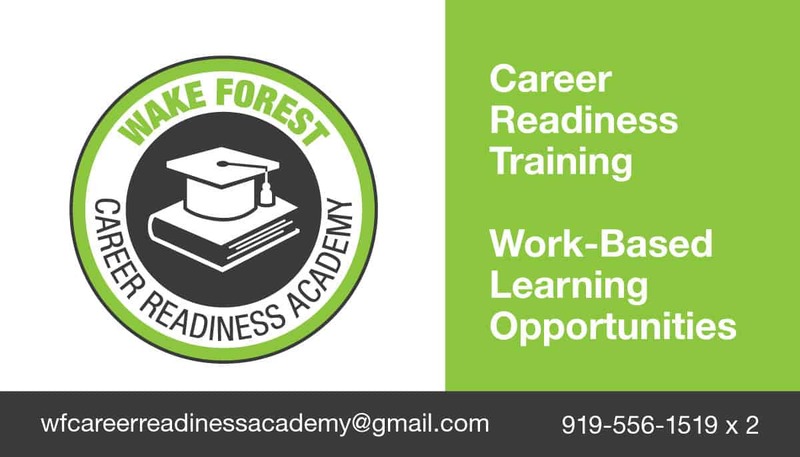 This business card was designed for the Wake Forest Career Readiness Academy, a local program in Wake Forest, NC offered through the Wake Forest Chamber of Commerce. 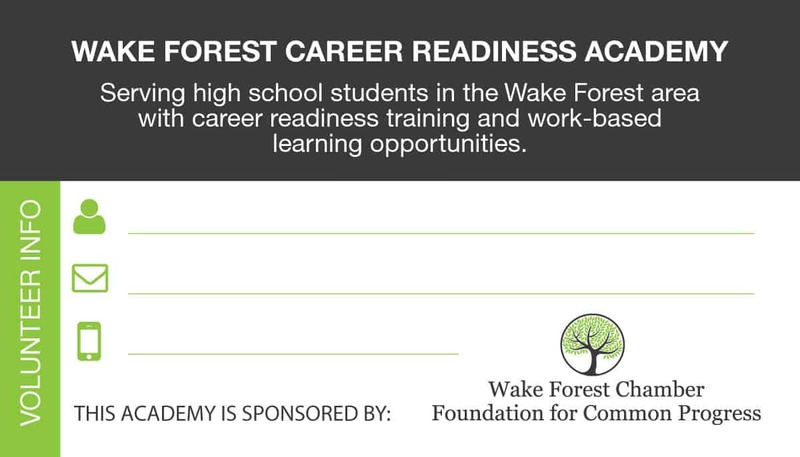 They needed a business card to be handed out to students, school officials and businesses wanting to offer internships. Since the business card would also be used for volunteers, we left an area on the back where the volunteers would write in their information. This saved the organization a lot of money by only printing one set of business cards.